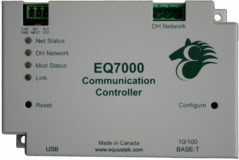 Since 1988 Equustek has been specializing in the manufacture and design of gateways, bridges, and custom protocol conversion communication products that will allow you complete system integration. 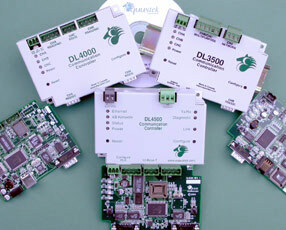 They allow industrial automation equipment the abiltiy to exchange data over popular industrial networks . Our expertise is interfacing PC’s, SCADA Systems, A-B PLC’s, SLC’s, computers, modems, variable speed drives and OEM equipment to Modicon’s Modbus, Allen-Bradley’s Data Highway Plus (DH+), DH-485, and Remote I/O. We also develop adapters that interface Industrial Ethernet (Ethernet I/P, TCP/IP, Modbus TCPIP), Profibus, and DeviceNet protocols.